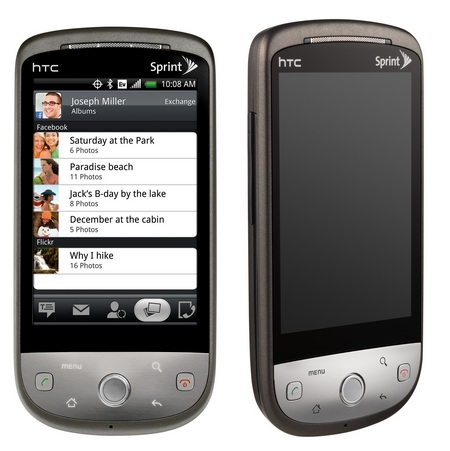 As you may have seen, I've been running Android 2.1 on my Sprint HTC Hero for a few weeks now, and I'd like to follow up the mega [p]review of all the new features with a few subtle observations that made me, a long-time Hero user, happy. These may be small things but it takes only a few of them to take the overall phone experience to a new level. By the way, if you want to experience Android 2.1 on your Hero without waiting for Sprint/HTC to release it, you can proceed to this how-to that I compiled just for you: To All Complaining About Android 2.1 On HTC Hero – Step 1: Chill Out. Step 2: Do Something About It And Install 2.1 Yourself – Full Tutorials Inside. The visual voicemail app has been slightly revamped, as I already mentioned. But that's not the most important part. The most important part and my biggest annoyance with the former version was that it used the Media volume to control the playback volume. This made it extremely annoying - if you are listening to music and keeping your Media volume about 3/4 of the way up, you now have to turn it up when listening to your messages because they're usually quieter. 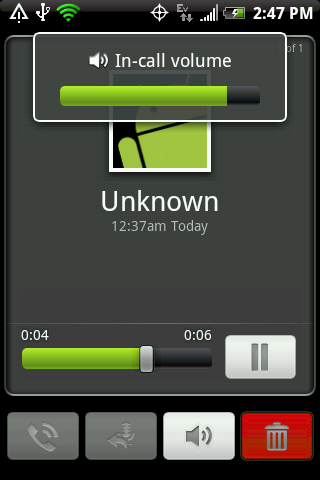 The reason behind it was simple - the voicemail app was nothing but an audio player, untweaked by HTC. If you remember, calling your regular voicemail naturally uses the In-call volume because it's just that - a simple phone call. Update: added this part on 5/14/10. Now, I'm not sure if this was really an option in the 1.5 Market but I am pretty sure I didn't see it there. Whenever you have updates, the Market can now put a notifications in your Notifications area, alerting you of the fact. Clicking on this message sends you to the Downloads area where you can update, though still one by one. I blame many hung up phone calls on this habit - in 1.5, pressing the End key while on a call and the screen off, hung up the call rather than bring the backlight back. In 2.1, pressing End doesn't hang up if your screen is off and only does it when the screen is on. This is a very subtle change you need to be aware of, and I actually like it. I have a couple of numbers which use a "pause" dialer feature. They look something like this: "555-555-5555 p 1 p 1234567890". This technique of using the so called soft and hard pauses saves me a ton of time when dialing foreign numbers using my calling card. In fact, since it's not very well known, I just added a tutorial explaining hard/soft pauses in more detail. In Android 1.5, there was a bug in the dialer app, which prevented numbers containing these pauses from getting redialed. If you saw a number with a pause in your Recent list and clicked on it, it just dialed the base number until the first pause and then refuse to dial any further. This means every time I wanted to redial, I had to find the number all over again by punching in the person's name and dial that way. In Android 2.1, redialing of numbers with pauses works correctly. I already mentioned this before but I'd like to highlight it again - the dialer lag is pretty much gone. Lag? What lag? Number lookups, toggling the speakerphone, dialing, and hanging up - there is snappiness across the board. Android 2.1 brought many new features, bug fixes, and little changes that made me much happier about this now underdog of a phone. If and when I notice even more new stuff with the update, you can be sure to find it right here.